Delivery time 35days for 5000 set. 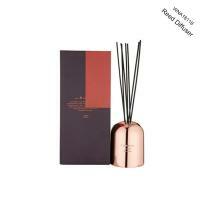 Reed diffuser will give you a scent that’s longer-lasting and ,with no flames in the mix, more practical. Instead you get concentrated essential oils in pretty glass bottles, many of which you can refill. 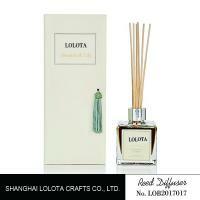 Aromas are cleverly diffused by rattan reeds that come in various hues. From fresh-smelling, invigorating fragrances to heady florals in bottles that wouldn’t look out of place on an apothecary’s shelf, we’ve tired these in our own homes to bring you our favourites. 1. Can we get your free samples? If we have the stocks of your required product, we can send it out within 1 day, but the freight should be paid by you. The sample is free. If we don’t have the stock of your required product, we will do it for you. 2. Can we do printing or label printing on the bottles? Yes, you can.We offer various printing ways: screen printing, hot stamping, frost,etc. And label printing. Yes,we can produce models according to your own design. Please just send the technical drawing of the bottles you need. 4. How about the absorbency of the reeds? We can promise it don’t block the pores in the reeds. 5. The black reeds will be bleed into a solvent based carrier liquid ? We use new dye and test in water, oil, alcohol, don’t fade. 6. If your reeds are enough dry and don’t mildew when arrival our country? we add microwave function in produce process , it can prevent mildew ,sterilize and inset-resistant. Besides, we put desiccant and big bag in the carton. So don’t worry about this. 7. How many scents that I can choose? 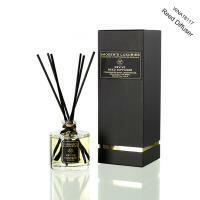 There are thousands of scents in our showroom. 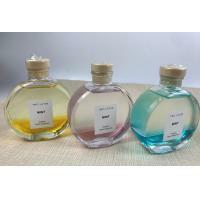 We will send the scent list to you for choose. We have a strong R&D team,and we can develop and produce products according to the drawings or samples the customers offered. We also can design drawings for clients. 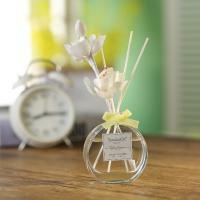 We are professional manufacturer for scented candle, Making fragrance products only! 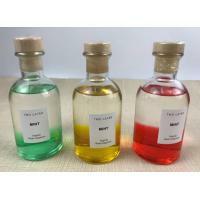 We accept small order quantity as trial order and we can provide free sample to you testing. We have two our own two factories in Zhejiang province and one is producing scented candles, another is producing reed diffusers. So we can offer the best price and best products directly. Our annual production capacity is over 200000 pieces goods for one month,we can meet the needs of different customers with different purchase quantity. We focus on developing high-quality products for top-end markets.Our products are in line with international standards, and are mainly exported to Europe, America, Australia and other destinations around the world. We are not far away from the Shanghai Port, it is very convenient and efficient to ship goods to any other countries. Wellness Group Limited is the parent company of Shanghai Wellness Crafts Co., Ltd.
Wellness is a professional home decoration and home fragrance company. We set up two manufacturing bases in Hangzhou, with an area of 10,000 square meters and 300 workers ,established in 1998 and in Fujian Province in 2006, with an area of 20,000 square meters and 250 workers respectively. Our Hong Kong office was established in 2006. 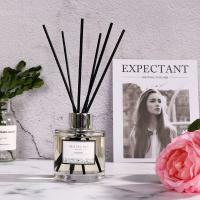 We specialize in Reed Diffusers, Scented candles, Ceramic Diffusers, Wooden Diffusers, Sola Flower Diffusers, Room Sprays, Diffuser Sets, Oil Burners, Scented sachet，Candle Holder，ect. We are dedicated to bringing comfort, style and quality to our clients, with 18 years of experience. The time-honored models around the world inspire our designers to create unique collections, which are welcomed by those value-seekers. Our mission is "integrating elegance and luxury into the simplicity of our lifestyle". In Wellness, we offer an extensive range of products, from exclusive items to our stock items shown in our catalogs and website. In pursuit of enjoyable life, Wellness offers you a brand new perspective. Come and experience our classic and stylish products.